Let’s cut to the chase. Suppose you had a device that could make electricity and hydrogen at the same time? Think this might be valuable for the renewable technologies marketplace? For at least 40 years, the solar-hydrogen connection has been a goal for transitioning from a carbon-based energy economy. Many different concepts and systems have been discussed and prototyped to demonstrate this possibility. Now, the very capable folks at the Lawrence Berkeley National Lab [LBL] have some bragging rights with this technology, having developed a hybrid device. 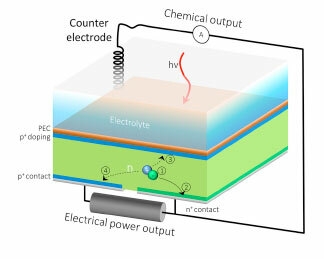 Thy have a novel integration of photovoltaic and electrochemical devices, that could simultaneously meet real-time energy demand while producing hydrogen too. It is expected the hybrid cell performance will result in almost 7% of incoming sunlight converted to hydrogen; and 13% of that same light converted into electricity. Think of the possibilities with making a very clean fuel form and electricity simultaneously. One could serve local electric loads and fuel needs, or maybe shipping the fuel form through an underground piping system…either existing or new. This entry was posted in Did You Know? 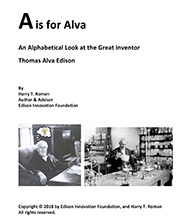 and tagged Solar, solar energy, solar hydrogen, thomas edison on February 27, 2019 by Edison Innovation Foundation. Many energy experts agree that for electric vehicles [EVs] to make faster inroads into reducing the use of foreign oil for traditional gasoline powered cars, there needs to be an infrastructure that will allow for charging EVs while they are parked. Stations located near shopping centers, places of work, and well-traveled areas would be ideal. Imagine driving to work and plugging your EV in at a convenient parking spot, assured you can make it home easily that evening; but wouldn’t it be even way more energy cool to charge your EV using electricity from the sun? 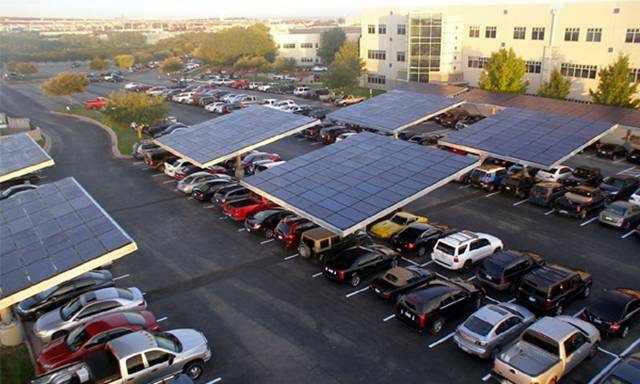 At Dell’s headquarters in Round Rock, Texas, a new shaded 50 car solar parking structure called the Solar Grove can re-charge EVs. The structure was built by Envision Solar, and fully operational should help avoid about 145,000 pounds of greenhouse gas emissions per year. Check it out here and in the photo below. 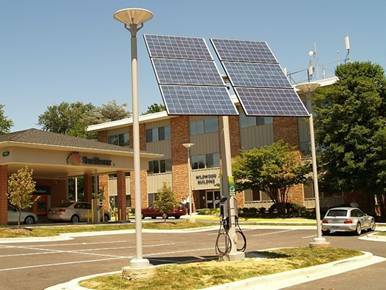 Recently, Bethesda MD implemented a new solar charging station (see photo below), the sixth such facility now operational in Montgomery County. Able to charge two vehicles at a time, this 1,410-watt facility uses a sun-tracking solar array. The system is manufactured by Advanced Technology & Research Corp. (ATR). The charging station would allow drivers of electric vehicles to pull up, swipe a plastic card and plug in their vehicles to be charged. Rob Lundahl, vice president, automation systems for ATR, said an hour of charging will yield roughly 20 miles of travel time for most vehicles. The cost for the system, according to Lundahl, is in the $20,000 range. 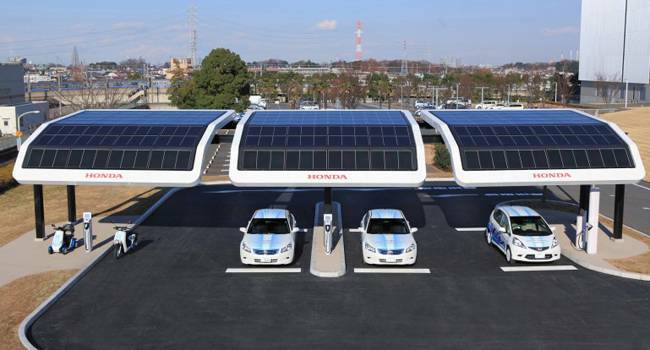 Take a look below at what Honda is trying in three cities in Japan to premier its solar charging stations for EVs. The program isn’t just for electric vehicles, but also plug-in hybrid vehicles, electric scooters, and electric carts. Honda will monitor how effective the charging station is at generating electricity, and ways to improve the convenience and usability of the charging station for customers. “The thing with which I lose patience most is the clock. It’s hands move too fast. 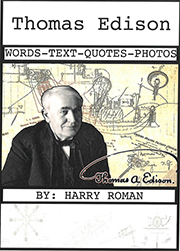 This entry was posted in Inventions Edison Would Love and tagged Edison Muckers, edisonmuckers.org, electric cars, electric energy, electric vehicles, Electric Vehicles + Solar Power Make Thomas Edison Smile, energy, EVs + Solar Make Edison Smile, muckers, Solar, solar cars, solar energy, Thomas Alva Edison, thomas edison, Thomas Edison Muckers on October 27, 2011 by Edison Innovation Foundation. GE just announced that it intends to manufacture a full-size, thin film solar panel at a new U.S. factory that will be larger than any existing solar panel factory in the country today. When complete in 2013, the factory will highlight an expected $600 million plus investment made by GE in solar technology and commercialization. Photovoltaic solar is the next step in growing GE’s renewable energy portfolio and is part of the company’s ecomagination commitment to drive clean energy technology through innovation and R&D investment. The record-setting panel was produced on the 30-megawatt manufacturing line in Arvada, Colo. It was measured by the National Renewable Energy Lab (NREL) at 12.8 percent efficiency. This panel surpasses all previously published records for Cadmium-Telluride [CdTe] thin film technology, which is the most affordable solar technology in the industry. Continually increasing solar panel efficiency is a key component of GE’s goal to offer advanced solar products while reducing the total cost of electricity for utilities and consumers. In fact, a 1 percent increase in efficiency is equal to an approximate 10 percent decrease in system cost. The site for the new solar panel factory, the largest such facility of its kind, will be chosen in about 90-120 days, ultimately employing 400 workers and creating 600 related jobs. GE is ramping up to seriously compete in the 2020 projected $114 billion worldwide solar market. You can read more about different types of thin-film solar panels in our blog below. This entry was posted in Did You Know? 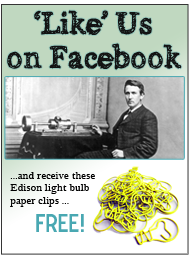 and tagged Edison Muckers, News, News Flash, science, Solar, Solar News Flash!, thomas edison, Thomas Edison Solar News Flash on April 7, 2011 by Edison Innovation Foundation. Something very small [nanotechnology] is happening in the world of solar panels, but it promises big changes. It cuts to the heart of solar panel engineering, and the big dream solar aficionados have harbored for decades……thin film technology that is both cost effective and practical. With nano-solar technology, the panels themselves change as well, their manufacturing becoming more like a film making process than adhering silicon-like materials to glass substrates. The use of customized nano particles has the ability to make the cells better able to capture incoming solar radiation, thereby increasing panel efficiency; and also enabling a cheaper manufacturing process. To give you a sense of the scale, a nanometer is equal to 1 billionth of a meter. 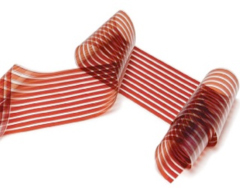 Check out a photo below of Konarka’s, plastic, organic, thin film material, and visit them to see their typical product performance spec sheet. Konarka Technologies is located in Lowell Massachusetts, and was originally founded in 2001 by a team of researchers at UMass at Lowell, including Mr. Howard Berke, who now serves as Konarka’s Chairman and CEO. Nanosolar, is now marketing their nanosolar panels, boasting a 15% panel efficiency. On a thin piece of aluminium, the company adds a nanoparticle ink, at a rate of printing 100 feet of solar cells a minute. They can produce panels [containing many solar cells] for 60 cents per watt, retailing them for about $1.00 a watt when production is full-scale. A fully installed Nanosolar panel system would cost about $2.50 a watt, much lower than the $6-8 a watt today with conventional solar panels. You can see an interesting video of their panel making operation and also via this photo below. Nanosolar was founded in 2002, recently benefiting in 2010 from a revamped team of management talent with experience in growing technology companies into potent billion dollar organizations. The new team is headed by Mr. Geoff Tate, Chairman and CEO, and located in San Jose, CA. The U.S. Department of Energy’s Idaho National Laboratory has teamed up with Microcontinuum Inc. and the University of Missouri to develop a very interesting nanoantenna which can capture up to 80% of the sun’s mid-infrared rays. Spiral nanoantennas, 1/25th the width of a human hair, do the work. These little babies can also harvest energy after the sun goes down! See photo below, and check out this website and fascinating video. Since these arrays absorb infrared radiation, they also absorb the sun’s infrared energy reradiated by the earth after dark. Similarly, they also take in heat from industrial processes. This opens up a whole series of applications for absorbing waste heat and reradiating it as electricity, effectively cooling buildings, computers, equipment, etc. … without air conditioning. This could be revolutionary in just a few more years. 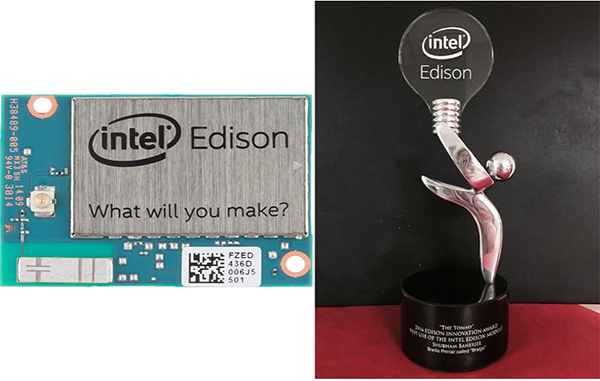 From tiny nanotechnology, big new applications grow. Microcontinuum was originally founded in 1998 by a former team of Polaroid scientists and engineers. Dr. W. Dennis Slafer is currently President and CFO, Cambridge, MA. New Energy Technologies, Inc. says it’s come up with a patent-pending method of spraying windows with a nano-thin photovoltaic material. The spray is an organic semitransparent material that converts sunlight to electricity. Using this technology the company will produce its SolarWindows, equipped with a nano film 1/1,000th the thickness of a human hair. Researchers found that its super small solar cells can harness more artificial light than other solar cells “under normal office lighting conditions, without the benefit of outside natural light from windows.” Check them out! Mr. John A. Conklin is President and CEO of New Energy Technologies, located in Columbia, MD. This entry was posted in Did You Know? 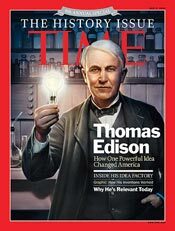 and tagged Edison Only Links, Energizes, nanotech, Nanotechnology, Nanotechnology Energizes Solar Panels, panels, science, Solar, solar panels, sun power, technology, thomas edison, thomas edison and solar energy, thomas edison and solar panels, Thomas Edison Quotes, tom edison on March 21, 2011 by Edison Innovation Foundation.